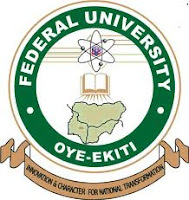 This is to inform all the fresh and returning students of the Federal University Oye-Ekiti (FUOYE) that the management has released the registration procedure for the 2017/2018 academic session. Complete and upload all of the above documents and click on the “Complete Registration” for Approval. Check back on the Portal after some few hours. After payments of fees you will visit the bursary department to submit the bank draft. Upon submission you will be provided with a Scratch card to be used on the student portal for further registration. If at anytime you seek clarification, send an email and clearly state your registration Number in all your mail accordinly to: [email protected] or use our online Chat support system.